Best female alpine ski racers will return to 56th Golden Fox in Maribor on 18TH January 2020. The best female alpine ski racers left Maribor and 55th Golden Fox for Äre and World championships in Sweden. We are looking forward to have them back next year. 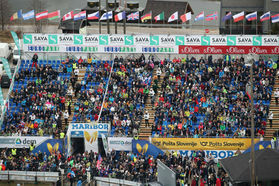 As FIS changed the race schedule for next season, Maribor event got one of most prestigious time slots in January during classic races. 56th Golden Fox will have the same time slot as men’s race in Wengen. See you at 56th Golden Fox in Maribor on 18TH (GS) and 19th January (SL) 2020!